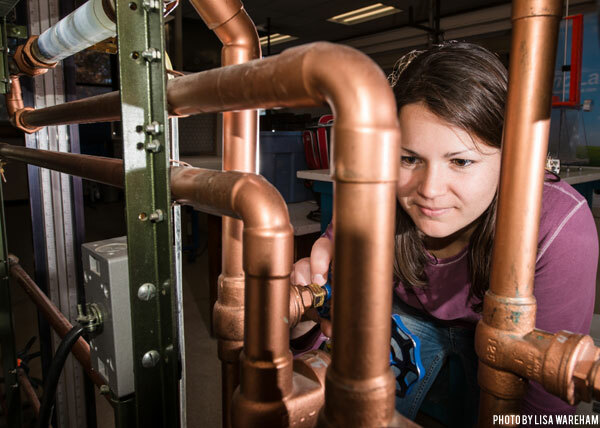 Montana Tech’s Freshman Engineering Program (FEP) is the entry point for every first-year engineering student. The Freshman Engineering program enables incoming students with an interest in engineering to be exposed to a broad range of general disciplines in their freshman year. All FEP students must complete a common curriculum their first semester. These first semester courses create a strong foundation for basic engineering and introduce the student to their selected engineering discipline. FEP students meet with advisors on a regular basis and are encouraged to interact with other FEP students through team projects and campus activities. Recruit, advise, teach, and retain students for Montana Tech’s School of Mines and Engineering. Provide engineering students with the skills necessary to succeed in a Montana Tech Engineering Discipline. Are your math skills ready for the Freshman Engineering Program? Students entering the FEP program must have math placement scores of 560+ for SAT and 24+ for ACT. Students with math placement scores below the Intermediate Algebra level will be required to take courses at Highlands College until reaching the Intermediate Algebra level. Please visit the Pre-FEP page for more information.